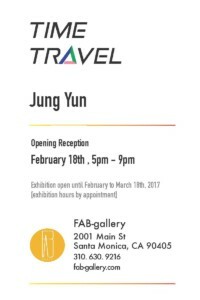 An exhibition of of new paintings by Jung Yun. 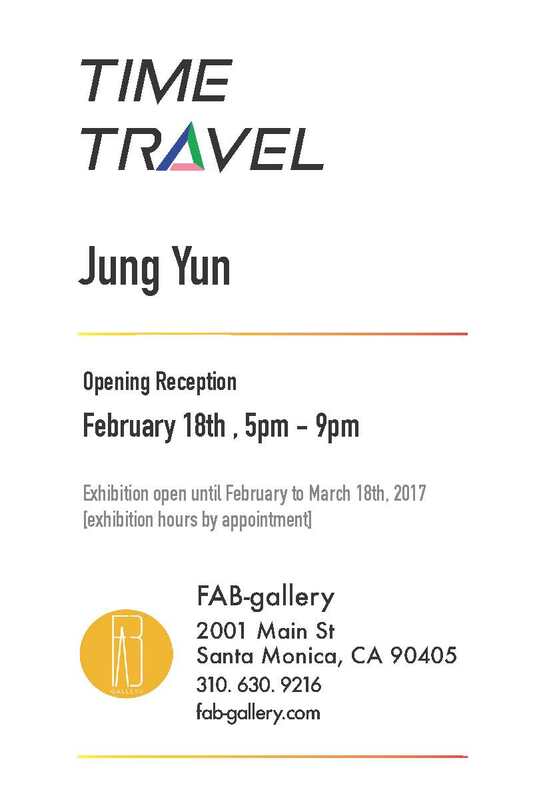 FAB-gallery 2001 Main Street, Santa Monica, CA 90405. 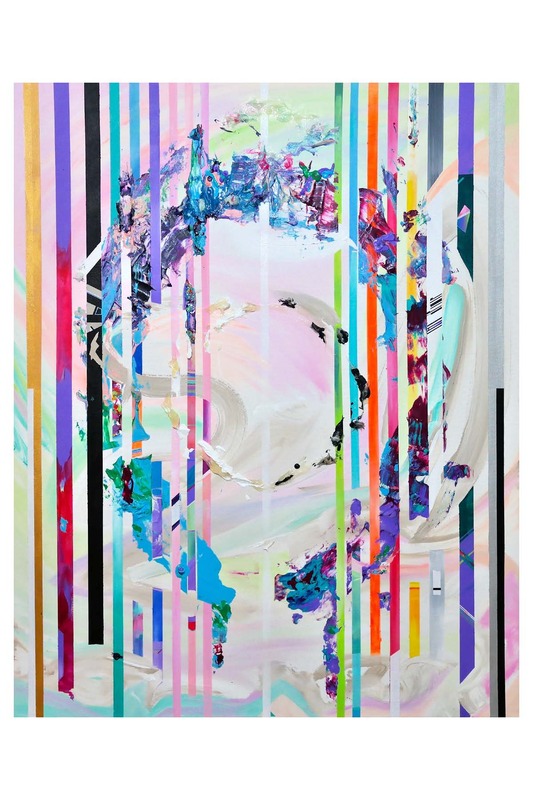 In his new paintings Jung Yun expresses the experience of time through light and color. Yun plays with our perception of light and how it affects our concept of time, within his paintings and in their installation. As we move through winter and spring, days grow longer and light changes in quality and intensity. Our perception of season is affected by light as much as anything else; depending on the time of year and the part of the world we’re in, we can experience the core feeling of “season” through light’s intensity or overtones. This may be even more influential to our notion of the seasons than is temperature. In this series Yun creates a sense of space, vastness, and environment. He has taken this body of work a step further by creating a complete environment. 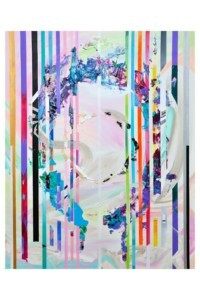 “Time Travel” is thus an integral installation as well as an exhibition of new paintings. By altering our perception of his paintings through manipulation of the gallery’s lighting Yun can affect our perception of the time of day or season, and therefore our basic perception of time. Jung Yun is a Korean-American artist based in Los Angeles. He is the founder of the multidisciplinary artists group, laGoon Collective. Traveling around the world, he continues to investigate and immerse himself into physical and digital mediums.